Welcome to the June 2018 edition of the Equity Lens! In this edition, we are excited to announce our new executive director, provide updates on our work, and highlight the work of our members, partners, and community leaders. The Board of Directors of the Coalition of Communities of Color (CCC) are thrilled to announce the new Executive Director, Marcus C. Mundy. Marcus will start on June 25th, 2018. Marcus Mundy knows the CCC well, as a former Executive Director of a member organization and Executive Committee member, he was instrumental in the CCC’s publication of the Unsettling Profile series, and its ongoing advocacy for increased funding for housing and services for our culturally specific member organizations. Marcus has a prolific career in leadership and is passionate about advancing racial justice in Oregon. He has strong relationships and roots in our communities and will lead CCC into its next chapter with a deep understanding of and commitment to communities of color. 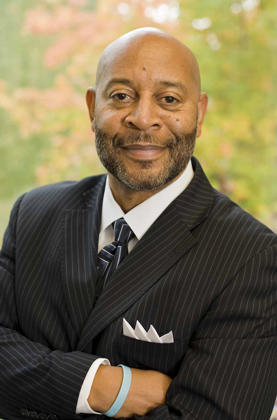 Mr. Mundy is a Principal at Mundy Consulting LLC, an Oregon state certified minority small business. His practice assists clients in various disciplines including but not limited to: achieving equity, diversity and inclusion in personnel, contracting, supplier diversity, development and administrative areas; and achieving compliance with respect to applicable laws, regulations and accreditation standards for healthcare businesses and others. 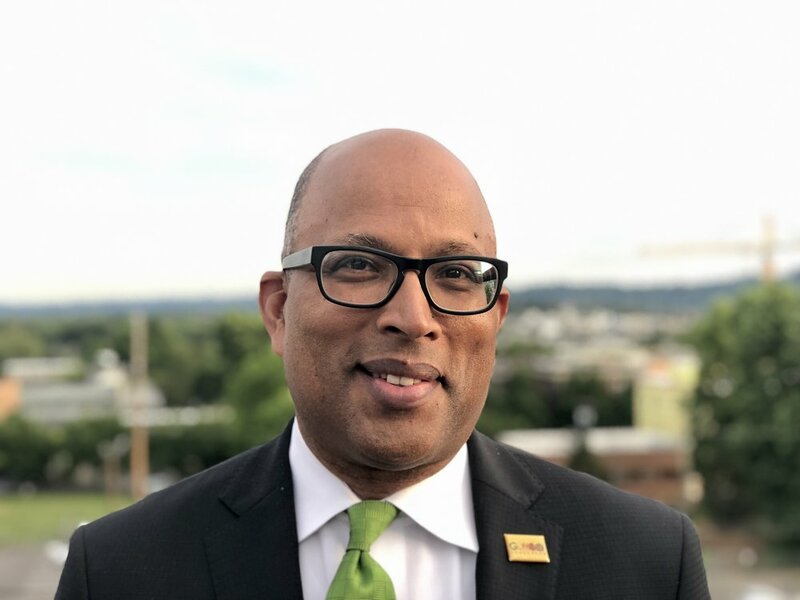 Prior to his role at Mundy Consulting, Mr. Mundy served as the President and CEO of the Urban League of Portland, was the Vice President and Regional Compliance Officer for Kaiser Permanente Northwest, and has held a host of other leadership positions. 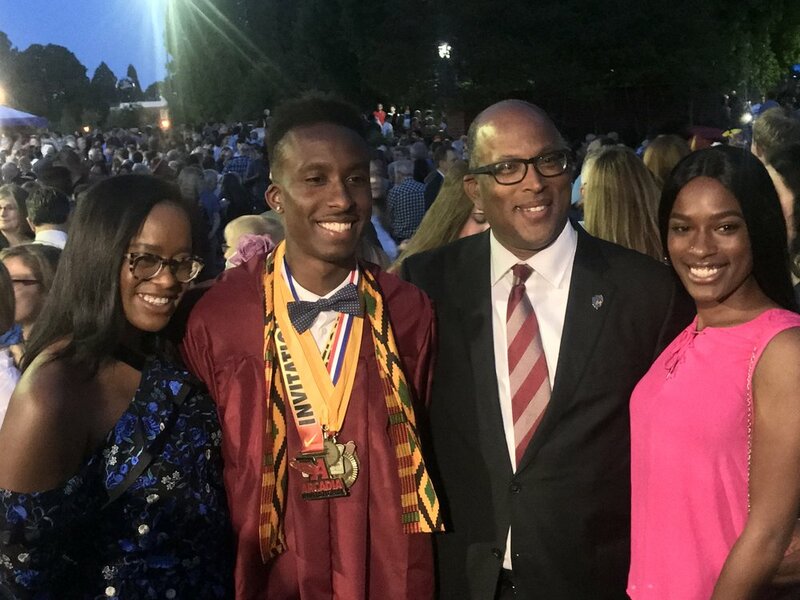 Mr. Mundy attended Howard University in Washington, DC, receiving his Bachelor (BBA) in Business Administration, and attended Howard University's Graduate School of Business. He received his Master of Business Administration (MBA) degree from the University of Oregon’s Executive MBA program. Mr. Mundy has served the community through his participation on numerous boards and community advisory positions, including the OHSU Foundation Board, the State Labor Commissioner’s Oregon Council on Civil Rights, the Oregon Community Foundation’s Regional Advisory Initiative, the Coalition for a Livable Future, EcoDistricts (formerly Portland Sustainability Institute) and, currently, Upstream Public Health. 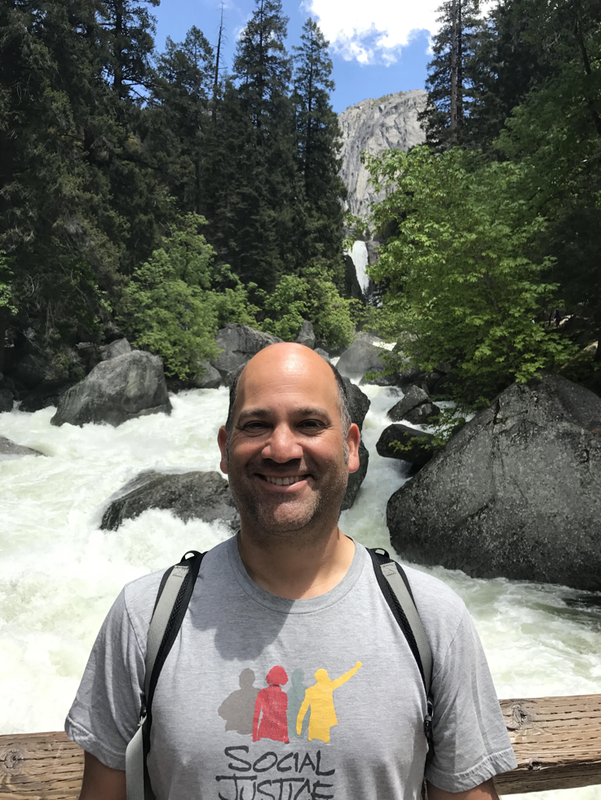 He is also a Senior Fellow in Oregon’s chapter of the American Leadership Forum, our state’s premier leadership training group for over two decades. His proudest achievement, however, and forever, is as a father to his four children. 1) You’ve had a long career in leadership roles, what is one accomplishment of which you are most proud? As a proponent of servant leadership, I am proud of the fact that I focus on the humanity of the people for whom I work, despite the setting. If a leader can maintain empathy, and remember that there is a responsibility to serve and not just direct, there will always be much for which to be proud. Consistent empathy is the accomplishment I cherish the most, as it allows me to remember why I work. 2) What are you most excited about in your new role at the CCC? I am excited to work once again with a high quality, dedicated, professional staff, and an organization that is fiercely clear in its mission. When a team is focused in its direction, great things can be accomplished. I am absolutely eager to connect with past colleagues and meet new leaders in the enlarged membership of the Coalition and our many partners. There is much work to be done to advocate for and collaborate with member organizations, and I hope to be able to help our collective goals to be achieved. I once opined at a fundraising dinner, over a decade ago, that if you were a salmon or a tree or a bicycle lane in Oregon you had a better chance of being protected and having resources thrown your way than if you were a person of color trying to find a job or housing or healthcare or redress to civil injustice. Much has changed for the good since my comments, in large part because of the relentless work of the Coalition and its members. But an exciting facet of my new role is that I can remind the powers that be in this region that these issues remain current, must be addressed with urgency even now, and that the “new normal” we have become accustomed to (anesthetized by?) over the last two years is not normal at all, and must be met with resolute focus on change that benefits all. I look forward to the challenge. 3) What do you like to do to maintain work/life balance? I love to read, I revel in writing, I relish wonderful food and discovering new places (both of which can be done abundantly in Oregon), and I embrace the opportunity to spend time with family and friends discussing issues of the day, and laughing out loud. Watching my athletic children compete in their various sports endeavors has also helped keep me grounded over the years, and eased the stresses of the day-to-day. Is that a trick question? I support each of those Portland treasures equally, although I do hope the Trailblazers prevail in signing LeBron James in the offseason (longshot), and the Timbers acquire the promising Tayo Edun (possible) in theirs. That would make for an exciting next year. 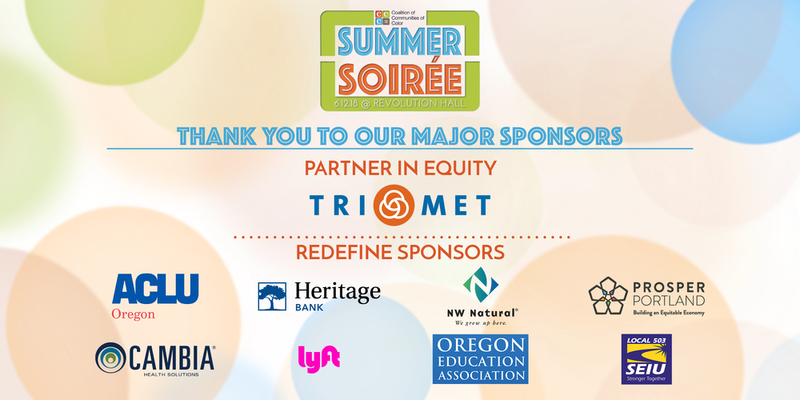 On behalf of the Coalition of Communities of Color, our members, our board of directors, and our staff, we would like to thank everyone that attended the 2018 Summer Soirée! This is the fourth year of our annual fundraiser and it was our most successful one yet! Pictures from the event will be posted soon, but here's a glimpse of the pictures from the program and a video about CCC's work that we featured at the event. Nichole June Maher, President of Northwest Health Foundation & Co-founder of the CCC, was the emcee for the evening. If you were not able to attend, but would like to support the work of the CCC, you can still make a donation and help us advance racial justice through cross-cultural collective action. On June 12th, the Coalition’s Research Justice Center will publish and release Leading with Race: Research Justice in Washington County. This report is based on the Center’s community-based participatory research project, which reflects the lives and aspirations of communities of color in Washington County. 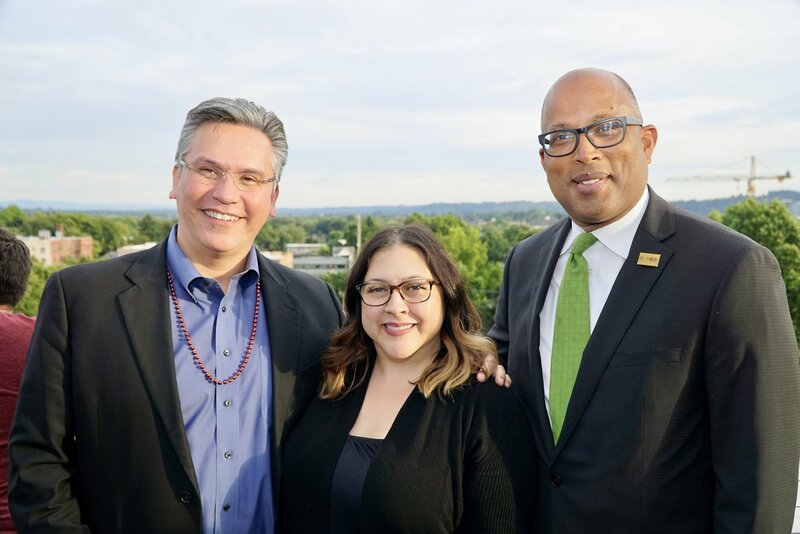 Leading with Race includes findings that our leaders can rely upon to build capacity, mobilize and advocate for better outcomes for culturally-specific communities in Washington County. The next phase of the project entails providing an opportunity for community members living/working in Washington county to learn how to present research findings, facilitate dialogue and articulate their experiences to city councils, school districts, community-based organizations and so on. This is an important leadership development opportunity, particularly for those who live, work, and or have spent a significant part of their life in Washington County. The CCC’s Research Justice Center and Advocacy Program will host a training for interested individuals sometime between the end of June and mid-July. Childcare and food will be provided during the workshop. Please contact Shweta Moorthy by June 19 if you wish to participate in this leadership development opportunity. Learn more about CCC’s Research Justice vision here. The CCC’s Research Justice Center has taken the lead in re-launching Regional Equity Atlas in partnership with Ecotrust, Futurewise and 1000 Friends of Oregon. Currently in development, the Regional Equity Atlas 3.0 will include an online mapping tool and interpretive website, which will enable us to understand how well different neighborhoods, communities, and populations across our region are able to access the resources and opportunities they need to meet their basic needs and advance their health and well-being. We will not collect, analyze, and present data for its own sake – instead, the Regional Equity Atlas is designed to be a tool to catalyze lasting social change, and to support grassroots community organizing toward that end. The Coalition will resource and train a cohort of 12-15 community members living in Washington County to design and implement small-scale research projects and co-develop the Regional Equity Atlas. The cohort will begin meeting in July 2018. Please contact Shweta Moorthy by June 19 if you wish to participate in this leadership development and community-based research opportunity. The Portland and Multnomah County budget cycle and May elections made for a busy spring in CCC’s advocacy efforts. City and county budget advocacy has been a core element of CCC's work since the coalition’s inception. 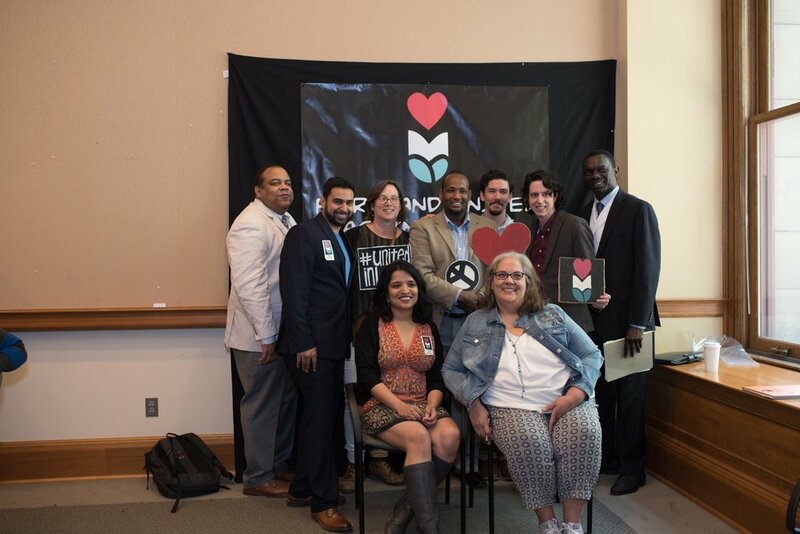 This year, we are exploring a new approach aimed at deepening relationships with local elected leaders and creating a broader vision for racial equity in our community. Since January, CCC has begun a series of quarterly meetings with the Portland mayor and Multnomah County chair to share our members’ policy and budget priorities in a cross-cultural context. Tony Defalco (Verde), Dañel Malan (Milagro Theater), and CCC members providing testimony. 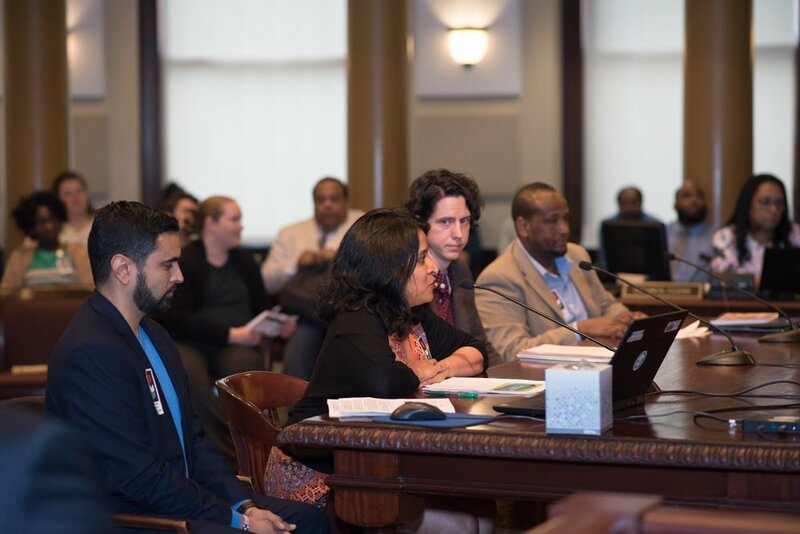 In addition to this new strategy, we partnered again this year with CCC member IRCO to host a Multnomah County Budget Forum focused on the priorities of communities of color. All five county commissioners heard from service providers, advocates, and community members about priority issues and the importance of culturally specific resources, with a number of CCC members testifying in person. In the run-up to the May 15 election, we worked to increase engagement on racial equity in local races. 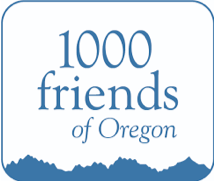 On April 30, CCC teamed up with 1000 Friends of Oregon to host the only forum for all Metro Council candidates. Allan Lazo of the Fair Housing Council of Oregon was an outstanding moderator as candidates discussed their visions for Metro's work in racial equity, housing, transportation, and land use. The event was held at the Muslim Educational Trust's Community and Educational Center in Tigard; MET is CCC's newest member and we were delighted to hold this event in their beautiful space. 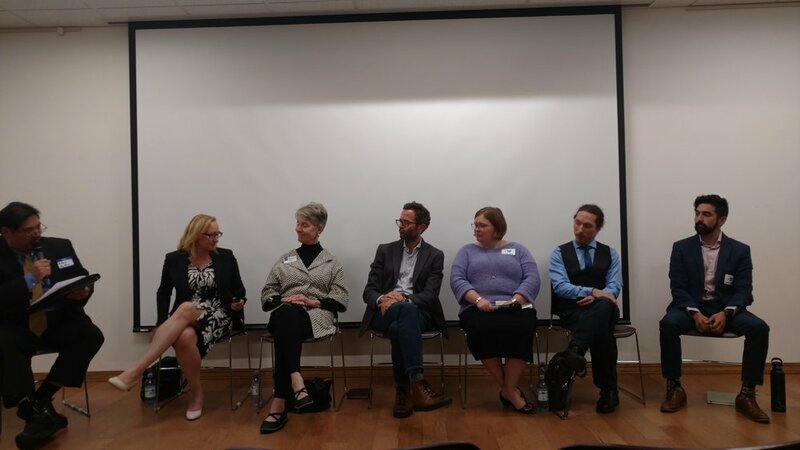 In line with our increased engagement in Washington County, CCC co-hosted a Washington County District Attorney Candidate Forum with the ACLU of Oregon and CCC member organization Unite Oregon. District attorneys are one of the most powerful actors in the criminal justice system, and this forum was an opportunity to center racial justice in these conversations. 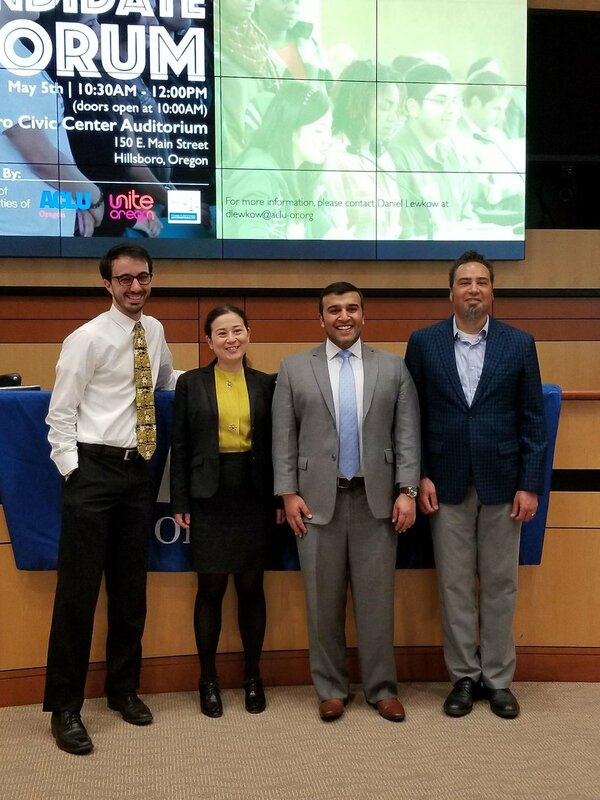 Shujat Qalbani of Unite Oregon drew on his own experience as a criminal justice policy advocate, prosecutor, and municipal judge to serve as moderator. Now that election season and the budget cycle are over, we’ll be busy planning for advocacy on November ballot initiatives and the 2019 legislative session and look forward to creating a robust policy agenda and engaging in collective action for racial equity. June 1st marked one year since the City of Portland and Multnomah County passed a 100% Renewable Energy Resolution. Portland City Council and the Multnomah County Board of Commissioners adopted companion 100% renewables resolutions, establishing goals to meet 100% of community-wide energy needs with renewable energy by 2050 and to meet 100% of community-wide electric energy needs through renewable energy by 2035. 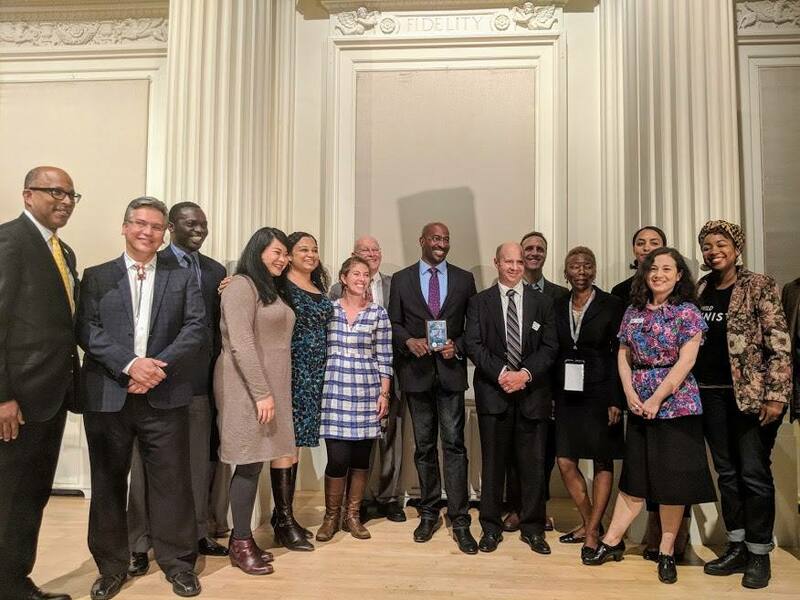 The Coalition of Communities of Color, Verde, OPAL Environmental Justice Oregon and partners successfully advanced equity commitments to protect low-income ratepayers, support workforce diversity and target businesses, and incent community-based development of renewable energy infrastructure. Specifically, each resolution prioritizes “community-based development of renewable energy infrastructure,” and sets a target of supplying 2% of community-wide energy needs via such infrastructure by 2035. While Oregon has been recognized as an environmental leader, communities like ours-- communities of color and low-income communities-- are often left out of the development, implementation, and enforcement of such initiatives and bypassed by the environmental, social and economic wealth created through the environmental and sustainability movement. We are on a path to reverse that on the local and state level. In July, organizations and communities of color will build a collective understanding of energy development fundamentals and energy democracy, including how the fossil-fuel economy is an integrated climate and economic crisis which has disproportionately impacted low-income communities and communities of color. Using the capacity building of the “Community Energy Justice Summit” as a foundation, we explore what a long-term community-driven effort could look like that develops and implements community-based renewable energy resources and policies, thereby empowering our communities to realize environmental, economic, racial, and social justice benefits. Since late 2017, the CCC has participated in the SB 978 [link: http://www.puc.state.or.us/Pages/Energy%20Initiatives/SB-978.aspx] process, including ongoing capacity building and advocacy to ensure the Public Utilities Commission integrates Environmental Justice, public participation, and climate change mitigation into its decision-making framework. We are simultaneously working to establish long-term intervenor funding for Environmental Justice groups. We believe this is an enormous opportunity to develop our communities as stakeholders in energy policy and shift the utility business model to center the needs of communities of color and low-income communities. How will we build this new, regenerative, and cooperative future? Organizations like the CCC, APANO, NAYA, Verde, and NAACP Portland Chapter are moving forward models to transition from the old, extractive economy and fund a clean, equitable and racially just economy. The Portland Clean Energy Fund is Portland's chance to become a national model for transitioning our city to renewable energy in a manner that directly supports racial justice and equity. From funding new rooftop solar and energy efficiency projects to a robust job-training program for underserved communities, PCEF is how we can turn our values into tangible benefits for Portlanders and our climate. The initiative would levy a small surcharge on huge multinational corporations to capitalize a fund that will be directed to clean energy and climate investments that benefits low-income people and people of color (among other traditionally underserved communities). 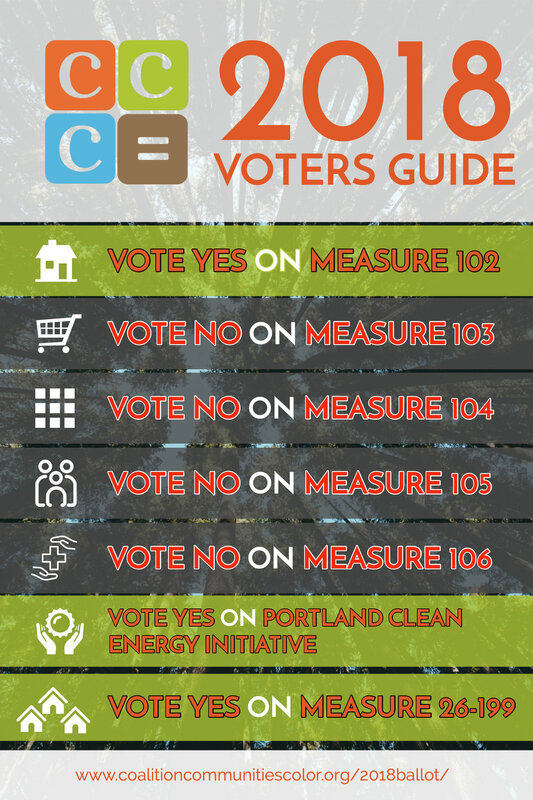 Find out more here about the ballot initiative campaign [link: https://www.portlandcleanenergyfund.com/] and check out the crowdfunding campaign [https://www.crowdpac.com/campaigns/385855/help-portland-clean-energy-fund-initiative-qualify-for-the-nov-2018-ballot], which will fund efforts to get the Portland Clean Energy Fund on the ballot in November! Check out similar efforts and gain inspiration nationally through the Energy Democracy National Tour 2018 [link: https://energydemocracy.us/]. The Tour leverages the recently published book, Energy Democracy: Advancing Equity in Clean Energy Solutions, to strengthen, bring together, and expand the various strands and networks of the emerging energy democracy movement in the United States. The Coalition of Communities of Color (CCC) seeks a passionate Executive Director to lead a member driven organization that advocates for racial justice by addressing socioeconomic disparities, institutional racism, and inequity of services experienced by our families, children and communities. The ideal candidate will have a combination of experience leading an organization, managing staff, fundraising, developing relationships and organizing communities of color and underserved populations for collective action resulting in social change to obtain self-determination, wellness, justice and prosperity. Formed in 2001, the CCC is an alliance of culturally-specific and pan-immigrant and refugee community based organizations. The CCC supports a collective racial justice effort through policy analysis and advocacy, culturally-appropriate data and research, and leadership development in communities of color. The Executive Director serves as the chief executive officer of the CCC overseeing all operational and administrative functions. The Executive Director reports to the Board of Directors and works with CCC staff in the daily operations of the CCC. Conveys financial information and concepts to the Board and staff. Approves all matters regarding employment, retention, and dismissal of personnel. Deepens and refines all aspects of communications—from web presence to external relations with the goal of creating a stronger brand. Uses external presence and relationships to garner new opportunities for the CCC. Starting salary is $75,000-$95,000 depending on experience. Paid time off is based on tenure with the organization and is generously accrued. We also provide medical, dental and vision insurance, a Flexible Spending Account, and Life Insurance. Employees may enroll in a 401k retirement plan with employer contribution after one year of employment. We provide an $80/month transportation stipend and a cell phone stipend. Please send a cover letter and resume via email to hr@coalitioncommunitiescolor.org. Please submit application materials by Wednesday, March 7, at 5:00 pm. All applicants will be notified once a hiring decision has been made. Salem (January 12, 2018) – Days before celebrating the legacy of Dr. Martin Luther King, Jr., and just a few weeks before the beginning of Oregon’s 2018 legislative session, the 2017 Racial Equity Legislative Report has been released to examine the Legislature’s commitment to policies that improve the lives of Oregonians of color. This is the fourth edition of the Racial Equity Legislative Report, which has been produced by a working group consisting of the Coalition of Communities of Color, the Asian Pacific American Network of Oregon (APANO), Basic Rights Oregon, Causa, Partnership for Safety and Justice, Unite Oregon, and the Urban League of Portland. Legislation was selected for inclusion in this report if it was explicit about addressing racial equity; reduced or removed systemic or institutional barriers that lead to inequitable outcomes; and protected against racial discrimination and violence. Communities of color, immigrants, and refugees identified and proactively worked on legislation they marked as priorities. End Profiling: Oregon banned profiling by law enforcement and implemented systemic accountability measures. This bill also made small-scale possession of drugs a misdemeanor with access to treatment, instead of a felony. Ethnic Studies: This bill directs the Oregon Department of Education to convene an advisory group to develop statewide ethnic studies standards for adoption into existing statewide social studies standards. Cultural Competency: This bill requires public institutions of higher education to provide ongoing cultural competency development opportunities and create standards for cultural competency. Reproductive Health Equity: This bill ensures that all Oregonians, regardless of income, citizenship status, or gender identity, can access the full range of preventative reproductive health services. Tenant protections: The Legislature missed a major opportunity to protect Oregonians who rent their homes by failing to end no-cause evictions and allowing local governments to regulate rents. The report also notes the increased representation of communities of color as Oregon’s legislative body diversifies. The number of legislators of color has more than doubled since the 2015 biennium. While this falls far short of representing Oregon’s increasingly diverse population, it represents meaningful progress toward a government that represents its people. In addition, the report presents stories of people of color engaged as advocates or legislators and their experiences at the Capitol. The 2017 Racial Equity Legislative Report is a call to action for policymakers to work with communities of color to create a more equitable Oregon and end systemic racism by championing solutions rooted in communities where they will be implemented. In 2017, Oregon saw meaningful progress toward this goal, with much work still to be done. The report can be downloaded at: http://www.coalitioncommunitiescolor.org/2017-facingrace. For media inquiries, please contact Jenny Lee, Advocacy Director at the Coalition of Communities of Color, at (503) 317-1058 or jenny@coalitioncommunitiescolor.org. Please join the Coalition of Communities of Color in welcoming our new Advocacy Director, Jenny Lee. Jenny brings extensive advocacy, convening, and facilitation skills along with a passion for racial justice. Jenny comes to CCC from Neighborhood Partnerships, where she helped convene the Oregon Housing Alliance, engaging coalition members and partners throughout the state and to help develop state legislative priorities to ensure all Oregonians have access to safe and decent housing. With her leadership and coalition building skills, the Housing Alliance secured several key legislative and funding victories. We are very excited to have her join the team. For more information about Jenny's background read her bio here. 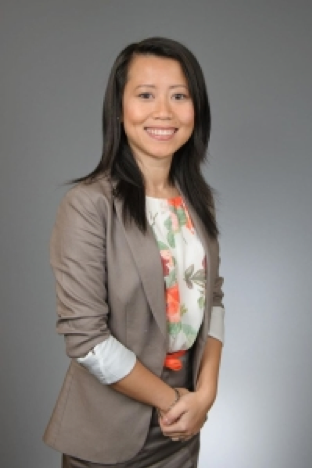 Jenny Lee will begin on October 2nd, and can be reached at: jenny@coalitioncommunitiescolor.org. It is with much joy and a tinge of regret that I am announcing that Amanda is leaving the Coalition effective July 31st. Amanda has accepted the position as Director of Advocacy at Latino Network. Please join me in congratulating her on this important position where she will no doubt excel. During her time at the Coalition of Communities of Color, Amanda effectively set up a strong foundation for the Coalition's advocacy work. Amanda worked collaboratively with our members to achieve several legislative accomplishments in this legislative session and increased legislative accountability through the to be published Racial Equity Report Card. This year, the CCC Lobby Day had over 150 participants. In the fall of 2016, under her leadership, CCC helped pass 4 out of the five ballot initiatives CCC endorsed, including more resources for affordable housing and resources to improve high school graduation rates. At the City, CCC helped pass the Small Donor Elections reform that will increase political power for communities of color in Portland. Even though I only got the opportunity to work with her for a short time, I will miss her commitment to and skills in collaboration, coalition building, and social justice organizing. Amanda is inspiring to work with, and I am sure she will continue to accomplish great things for our community. In the next few weeks, CCC will hire a new advocacy director. Click the button below to view the full job announcement, and please forward to your networks. I am announcing my transition from the Coalition of Communities of Color (CCC). I am thankful to the best group of folks someone could work with: our members, staff, Board, partners and funders. I am indebted to the leaders who started meeting 16 years ago to form what would become the CCC. Individuals who saw that racial justice requires cross-cultural movement building. In 2009, I joined the CCC as its first staff member. Since then, we grew from an $85K budget into a more than $1M a year organization. We expanded from a one-staff shop to a growing and impactful organization with a well-earned statewide reputation as a leader in racial justice. We have accomplished so much together. We highlighted the rich diversity of Oregon and uplifted the growing and thriving communities and organizations of color who call this region home. We spent 2009 to 2014 conducting research that lifted the veil off of regional narratives about race. 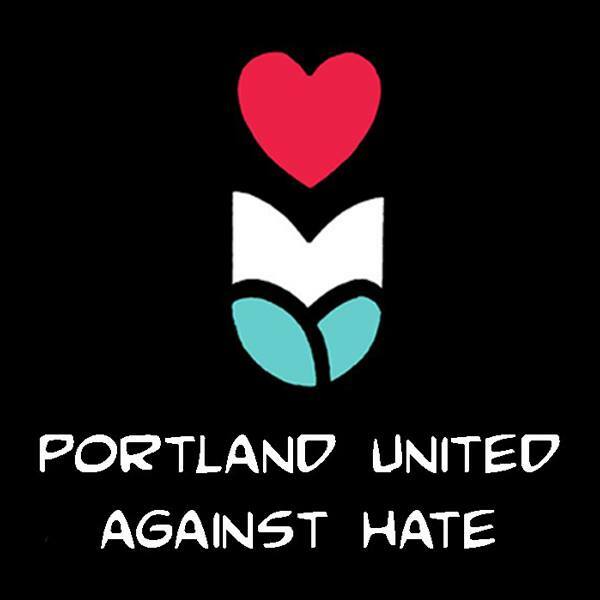 It showed that Portland is neither as white nor the utopia that some people tell themselves. Communities of color are large and growing rapidly. There are deep and broad racial inequities. We tirelessly advocated on behalf of culturally-specific and pan-immigrant and refugee organizations for equitable public and private funding of communities of color. We moved from defending the utility of organizations of color to working in partnership with funders on how to operationalize equitable funding. We built our voice and visibility in Oregon politics so Oregon policy can be set by those most impacted by the issue. Our annual legislative action day earlier this month had more than 150 participants. We are creating a 501(c)(4) organization. We created Bridges - the CCC's leadership development initiative to promote representative leadership. Bridges includes six culturally-specific leadership development programs united under one cross-cultural umbrella that collectively graduate about 100 leaders of color each year. In its fifth year, Bridges is moving into a new phase centered on robust advocacy and civic engagement. We are implementing a community based research project in Washington County. We have a full-time researcher who is partnering with local jurisdictions and community organizations to put together a first of its kind report on the lived realities of communities of color in Washington County. I am proud to have been a part of the CCC's journey. As far as we know, there is nothing like us anywhere in the country. Cross-cultural alliances tend to be time-limited or issue-limited. And I know why. This work is hard and broad - it is about movement building - it is generational work - and it is about achieving racial justice. Our work has never been more important. The CCC will be here to fight for representative leadership, built political power in communities of color, community-owned data and research, and equitable policies - including the re-balancing of resources - to tackle our community's toughest issues. We have the right team in place at the right time to do this work. I give my deepest gratitude to, and I have the utmost confidence in, the CCC team: Kodey Park Bambino, Amanda Manjarrez, Shweta Moorthy, Rob Nathan, and Maggie Tallmadge. I will be with the CCC for the next couple of months working full-time then part-time and a supporter of the CCC forever. The Board of Directors is leading the search process for the next Executive Director. Carmen Rubio at Latino Network is the point person on the Board for the hiring process and any questions or input you may have. Here is a link to the Executive Director Job Announcement. Please help me get the word out about the position. I send my love to all the supporters of the CCC. The Coalition of Communities of Color (CCC) seeks a passionate Executive Director to advocate for real change by addressing socioeconomic disparities, institutional racism, and inequity of services experienced by our families, children and communities. The ideal candidate will have experience organizing communities of color and underserved populations for collective action resulting in social change to obtain self-determination, wellness, justice and prosperity. Formed in 2001, the CCC is an alliance of culturally-specific and pan-immigrant and refugee community-based organizations. The CCC supports a collective racial justice effort through policy analysis and advocacy, culturally-appropriate data and research, and leadership development in communities of color. The Executive Director serves as the chief executive officer of the CCC overseeing all operational and administrative functions. The Executive Director reports to the Board of Directors and works with CCC staff in the daily operations of the CCC. Willingness to work a flexible schedule to meet the needs of the organization, including evenings and weekends. Starting salary is $75,000-$95,000 depending on experience. Paid time off is based on tenure with the organization and is generously accrued. We also provide medical, dental and vision insurance, a Flexible Spending Account, and Life Insurance. Employees may enroll in a 401k retirement plan with employer contribution after one year of employment. We provide an $80/month transportation stipend and a cellphone stipend. Please send a cover letter and resume via email to hr@coalitioncommunitiescolor.org. No phone calls, please. In order to ensure full consideration, please submit application materials by Tuesday, April 18, at 12:00pm. All applicants will be notified once a hiring decision has been made. In order to ensure a timely hiring process, please hold the following times for potential phone and/or in-person interviews: the afternoons of April 21, 25, 26, May 2, and May 5. We anticipate a June 2017 start date. Endorsed five ballot measures aimed at improving the lives of people of color in Oregon. Produced a 2016 voter issue guide to help inform voters of key ballot measures that impact communities of color. Collaborated with each campaign to turn out volunteers, organize canvasses in communities of color, get the word out in the media, and provide guidance on campaign strategy. While we know the result of the national election will create new challenges, locally we were successful on 4 out of 5 CCC ballot initiative priorities. These local victories will give more families access to safe, affordable homes, improve our schools, and protect our natural areas. Also, we saw new levels of engagement in communities of color that will set the stage for future success on the ballot. Even during elections, we know that our work on other issues impacting communities of color does not stop. Since the passage of HB 3499 (English Language Learners programs), the CCC has worked diligently with our allies to develop rules for the new law that will lead to better implementation and ultimately outcomes for English Language Learners (ELL). This week, the State Board of Education adopted many of our proposed rules thanks to the incredible advocacy of our allies in the ELL Advisory Workgroup. Earlier this month, the Portland City Council passed the Open & Accountable Elections Act, which will enact a new public campaign financing program that matches low dollar donations given to candidates. The CCC and our member organizations helped lead the way to pass this important reform, working with a local coalition of over 30 organizations. Check out this op-ed written by Julia Meier and Joseph Santos-Lyons to learn more about how it impacts communities of color. This new law will create more opportunities for diverse representation in Portland city government. The program empowers candidates to run for office without taking big campaign contributions. Instead, candidates can run with small-dollar contributions from local city residents that will be matched 6-to-1 by the city. In a city where only 7 women, 2 people of color, and 2 people from the outer east side have ever been elected to city office, and at a time when big special interest money is dominating our elections - this is huge victory for our communities. 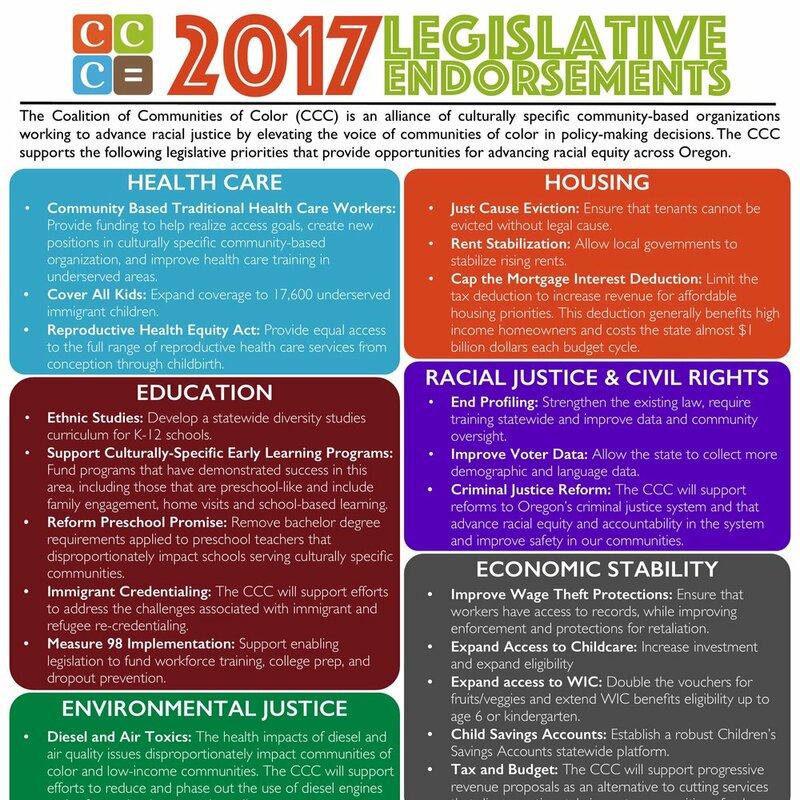 As the CCC prepares to announce our 2017 legislative endorsements, we will continue to work hard to engage the community and create opportunities to advance racial equity in Oregon.